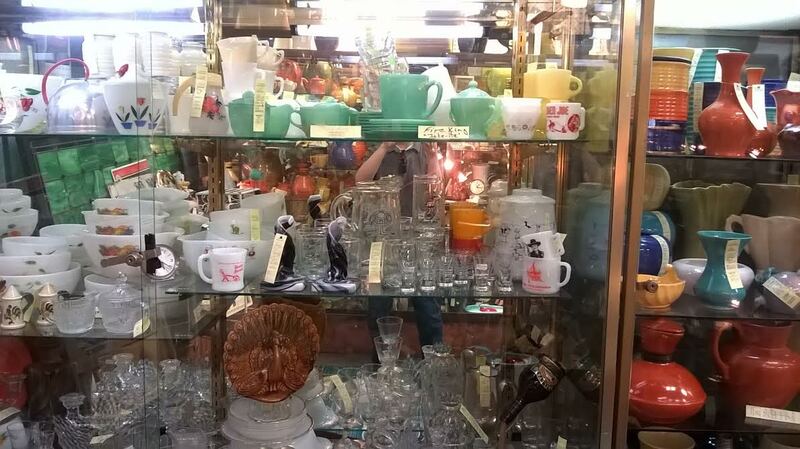 I've just come back from a trip to Southern California where I spent a few days antiquing in Long Beach. The area may or may not be known to you for its antiques, but let me assure you, there are treasures to be had if you visit certain locations. First and foremost, you should be aware of the Long Beach Antique Market held every third Sunday of every month. Click on the link for additional information. What I love about the Long Beach Antique Market is that it is held out in the open behind Veterans Stadium, and can best be described as a flea market filled with chic, cheap, unique and stylish vintage items. Hundreds upon hundreds of vendors set up stalls early in the morning, and I highly encourage you to shop very early (I was there by 7 am) to get the very best deals and best selections. 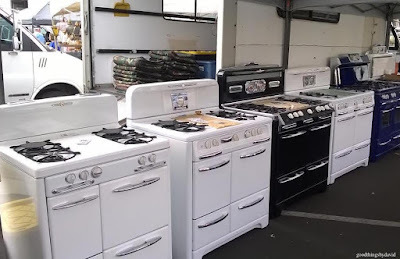 Speaking of deals, don't be afraid to make a counteroffer when you spot something you really like. Some vendors may be firm in their pricing, while most are willing to make a deal. 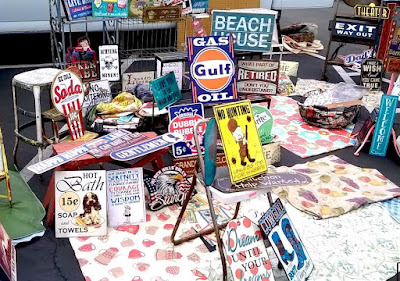 My advice to you is to take cash, lots of tote bags to carry your finds, and make sure to wear a hat and some sunblock because you will get a nice tan while strolling the aisles of treasures. 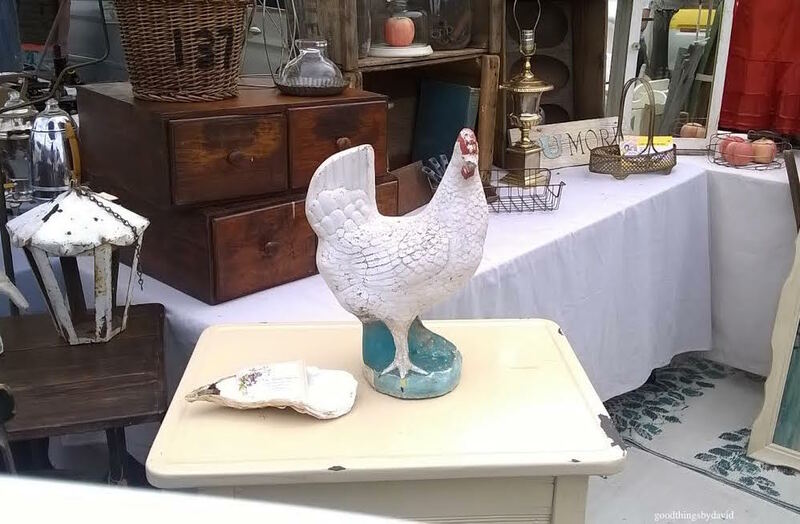 One of the first things I encountered was this beautiful chicken sculpture, which reminded me of one that Martha Stewart had in her Westport Television Studios. As much as I wanted to take it home with me, I simply wasn't able to walk out with it, because it was made of solid concrete. The sculpture was extremely heavy to carry, and transport via airplane would have been out of the question. As much as it hurt to do so, I had to walk away from it. 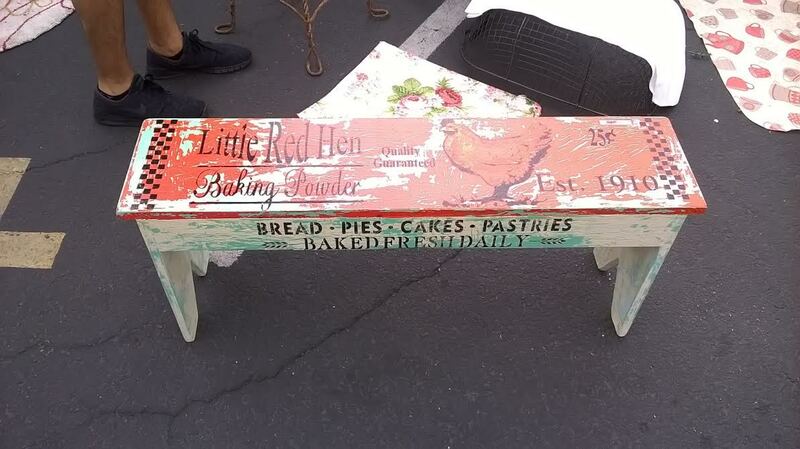 Weathered furniture can be found by the dozen here in Long Beach, and it isn't that expensive. The aqua hutch with the beautiful patina would be perfect in a vintage-style kitchen, don't you think? 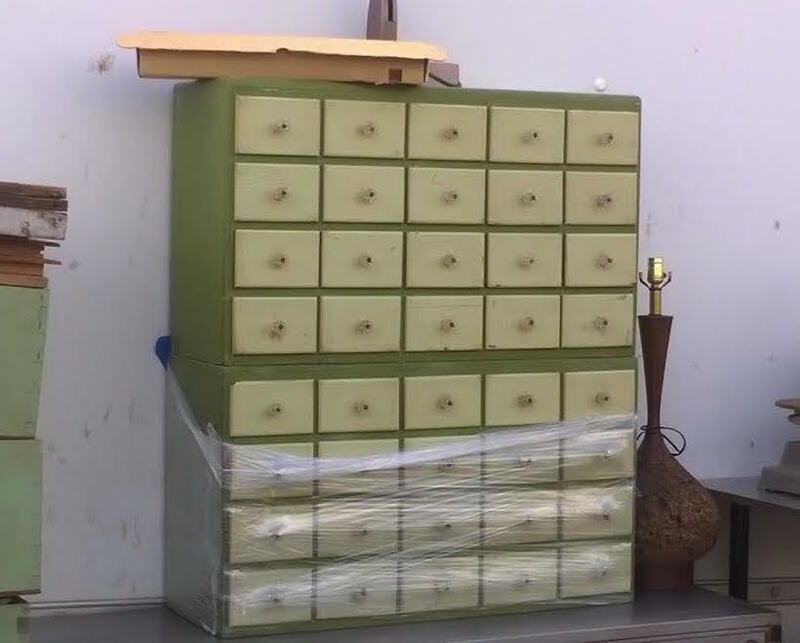 This two-part filing cabinet would be perfect for organizing one's cookie cutters. 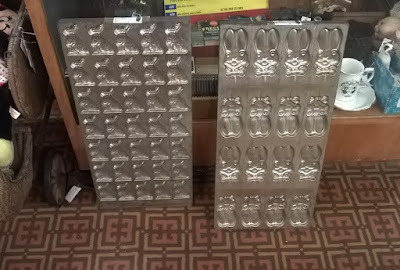 Each could hold sets of cookie cutters and get labeled according to style or season. 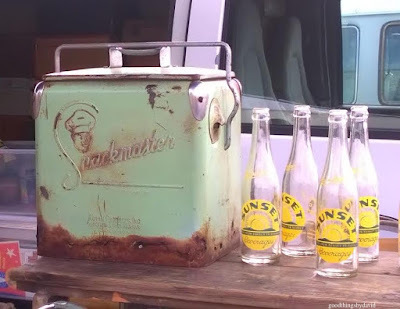 I've never encountered an old Snackmaster cooler in this jadeite color. 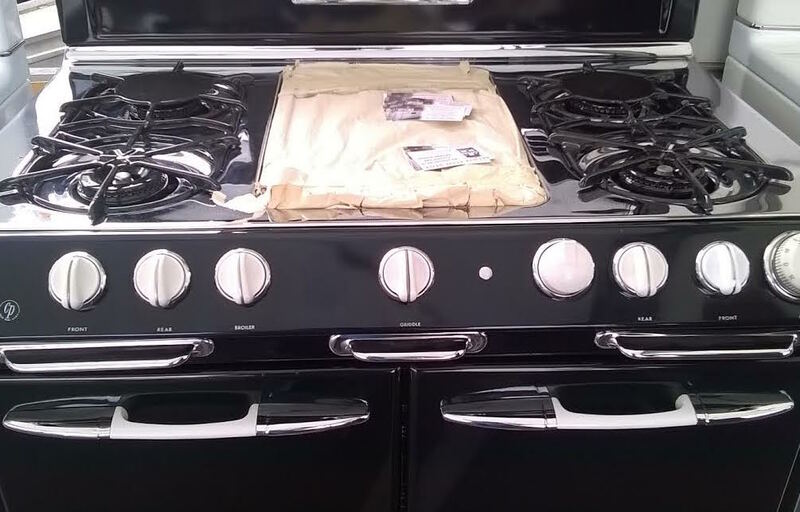 Imagine what it must have looked like when it was brand new! Refurbished Singer sewing machines are available from a few vendors, as are vintage typewriters. 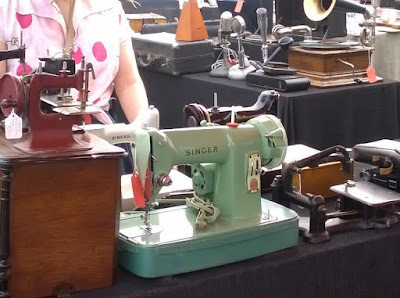 Even if you don't sew, you can certainly appreciate their design and style. This vendor made me think of the show, American Pickers. 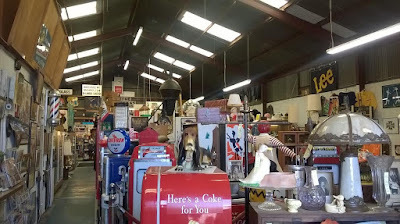 Those two men are always in the search of vintage signs. I love these! This sign. 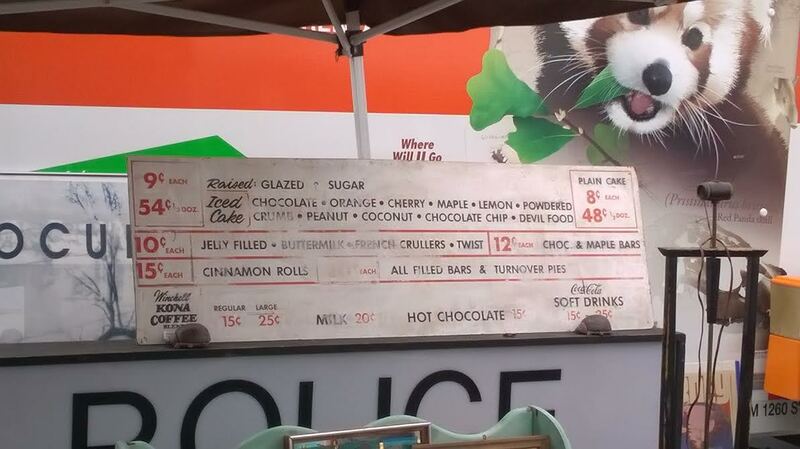 I think this sign is wonderful with its simple menu of donuts, rolls, cakes and soft drinks. It would be fantastic in a kitchen with retro furnishings or over a breakfast area. The Little Red Hen bench made me smile because it reminded me of the cookies I recently made for a neighbor. How adorable is this piece of furniture? 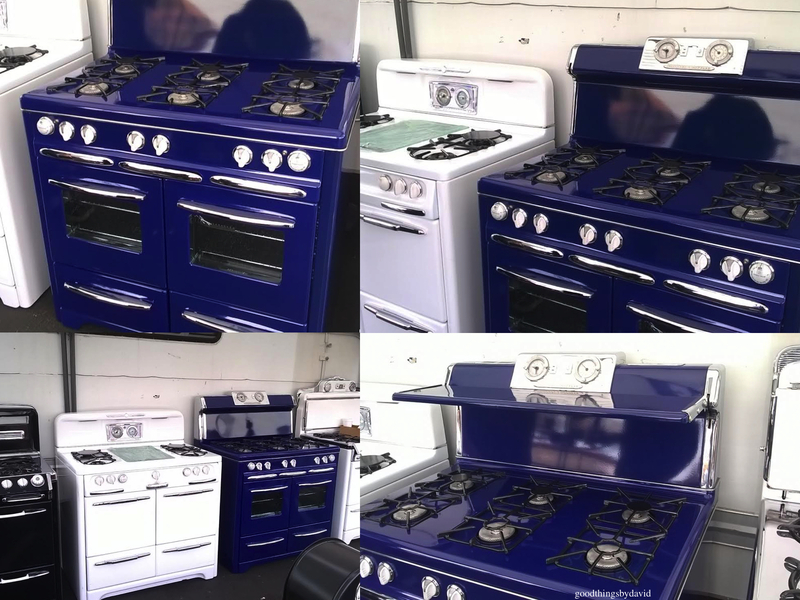 The one vendor who perhaps caught my attention more than anyone else, was this individual who had fully restored vintage/antique stoves. 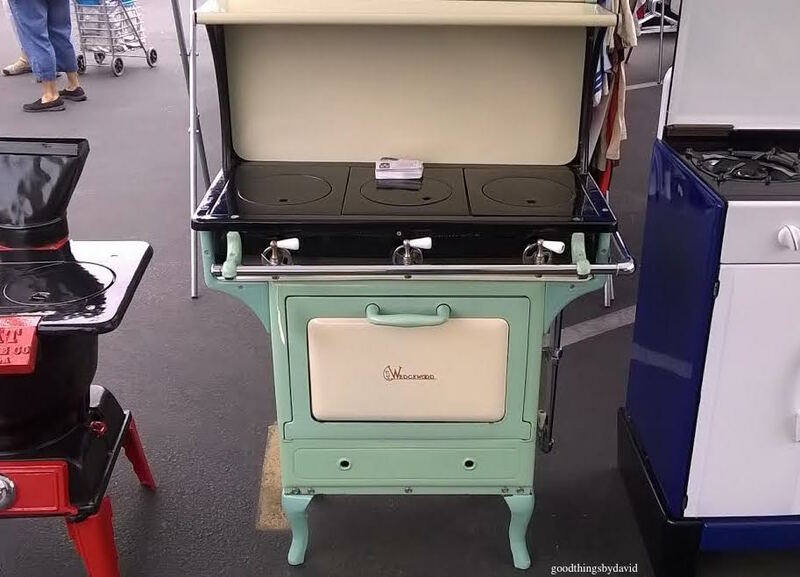 I immediately fell in love with the old Wedgewood stove, lovingly restored to its original mint green and cream color. 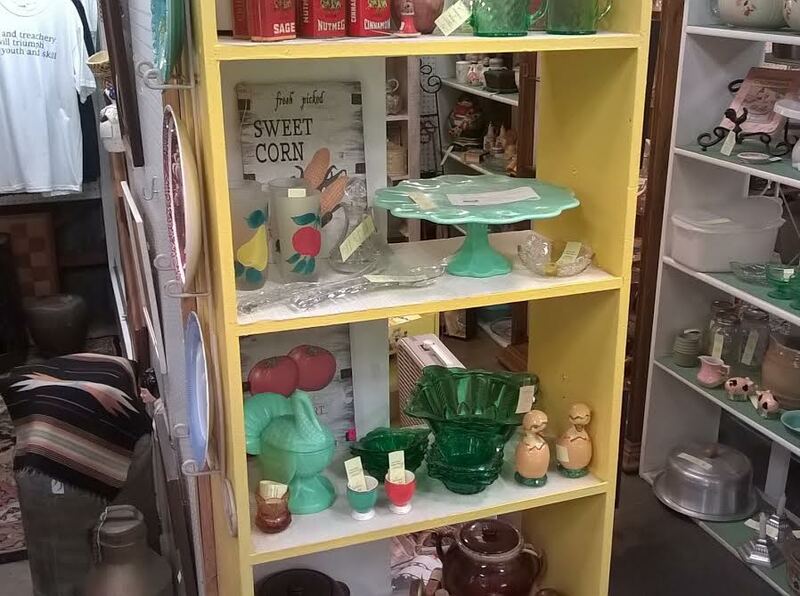 From the enameled shelf to its covered burners and knobs, this vintage piece of Americana could be used as an accent piece. 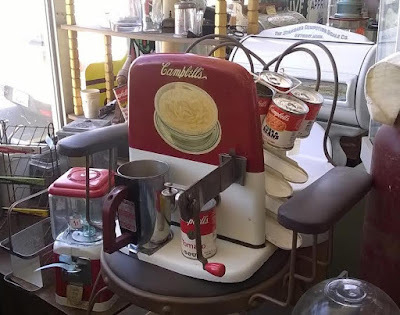 I can easily see this being a dessert station in one's kitchen to serve pies, cakes and cookies. 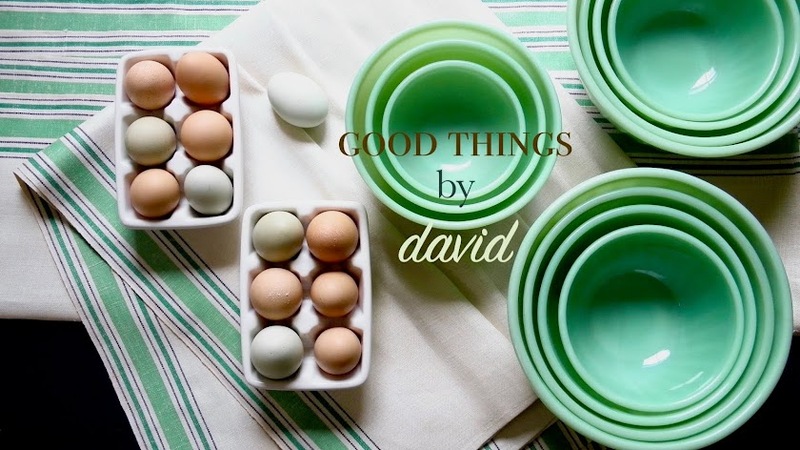 It would be a natural with vintage Fire King jadeite or even some beautiful yellowware pieces. Here are several more examples of this individual's work. 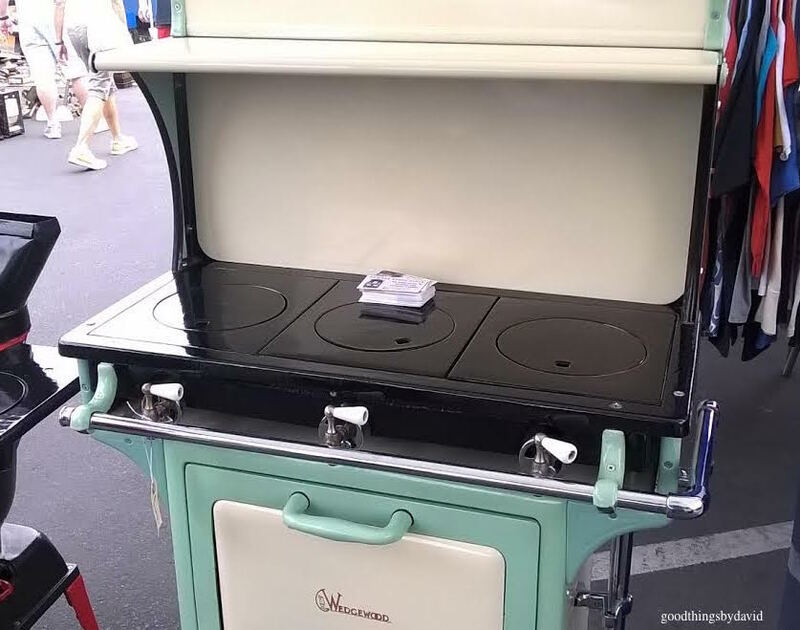 These are the types of stoves our grandmother's had in their kitchens to cook those tasty Thanksgiving dinners, the delicious meatloaf suppers or those weekend biscuits. Not only are the enameled surfaces and the interior ovens completely restored, but the lighting fixtures, clocks, burners and knobs are fully functioning and ready to go. Everything comes carefully wrapped and packaged for transport. If I ever decide to go retro with my stove, I may have to purchase from this particular vendor. Here is his information. If you wish to visit his website, click here for additional details. 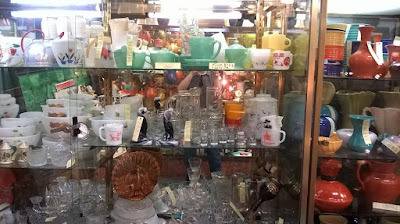 After a couple of hours of perusing the Long Beach Antique Market, it was time to head to the city's world famous antique mall. 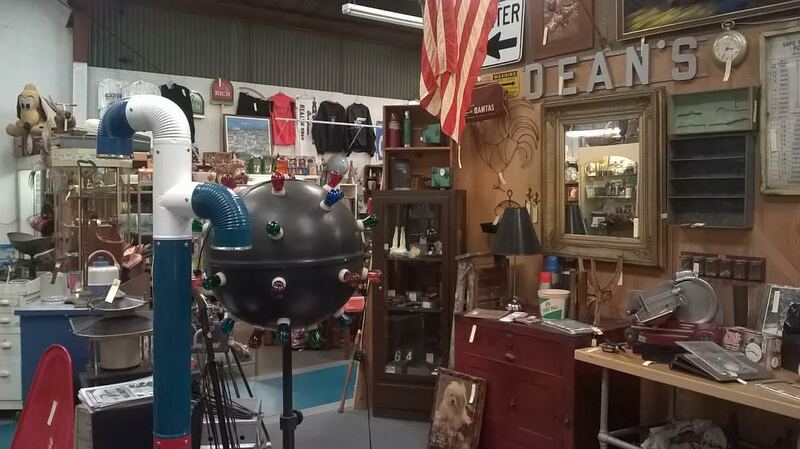 Split between two locations, the Long Beach Antique Mall has a little of everything for everyone. The original location which is at 3100 East Pacific Coast Highway is open Monday-Friday (10am-5pm), Saturday and Sunday (11am-5pm). 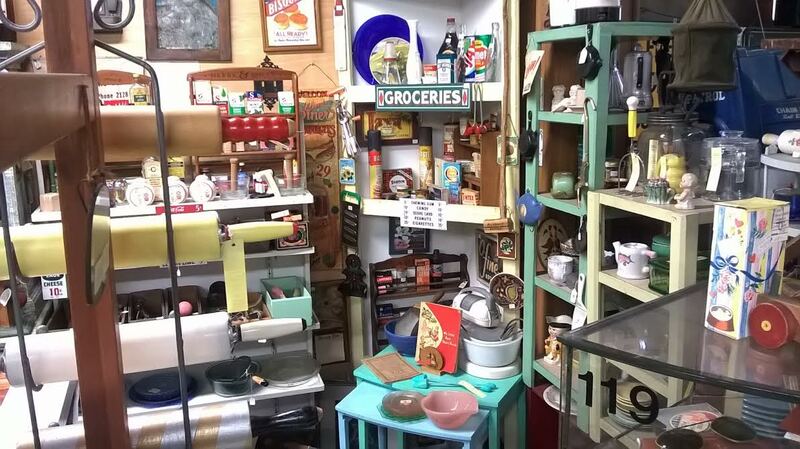 The PCH location is the smaller of the two spaces, but don't let that fool you, because it has some wonderful items for the collector. That vintage Campbell's Soup Warmer (above) was used in diners across America. This particular piece happened to be in excellent condition. 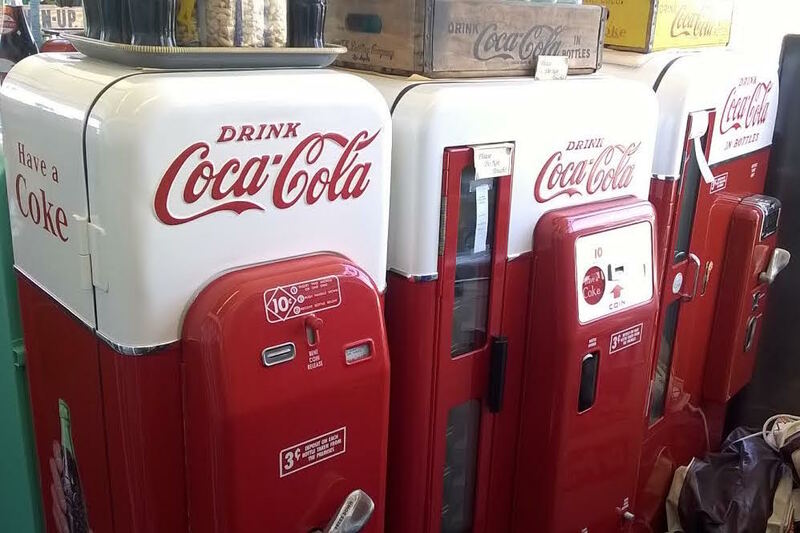 Don't ask me why, but I am fascinated with old Coca Cola machines. These were they types of cola dispensers found at gas stations and general stores during the 40s and 50s. The vendor who had these has taken the time to fully restore them. They're phenomenal! 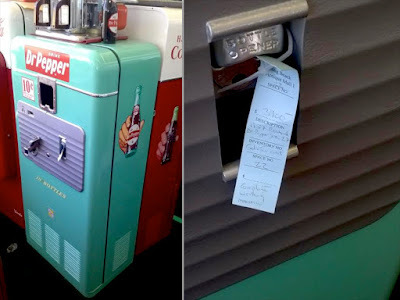 An old Dr. Pepper soda machine in excellent restored condition can be yours for a mere $3,900. It's perfect in my opinion. Chocolate molds in these bunny motifs are just the thing for Easter treats. I want to say that these were about $180 each. 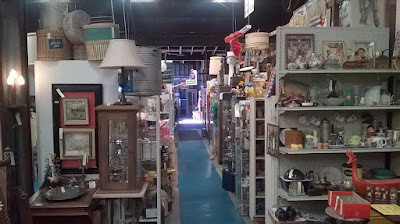 The second location of the Long Beach Antique Mall is right across the street at, 1851 Freeman Ave. You can't miss it. Keep in mind though, that they are opened daily (11am-7pm). 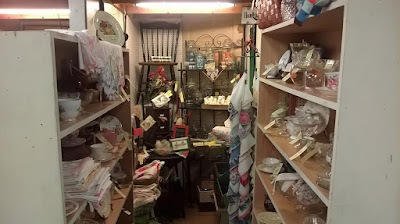 You are going to have to give yourself some time to carefully explore every corner and every shelf at this location because it is packed with stuff. 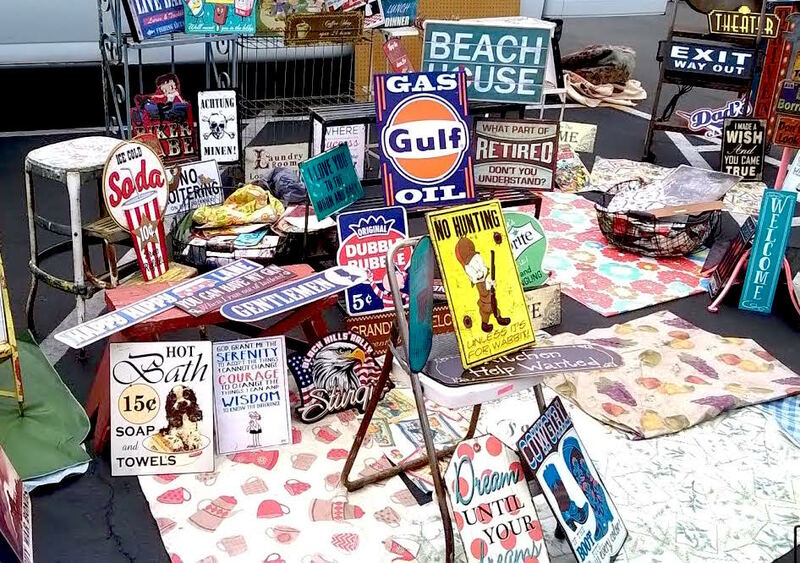 Vendor after vendor will capture your eyes with great vintage items. 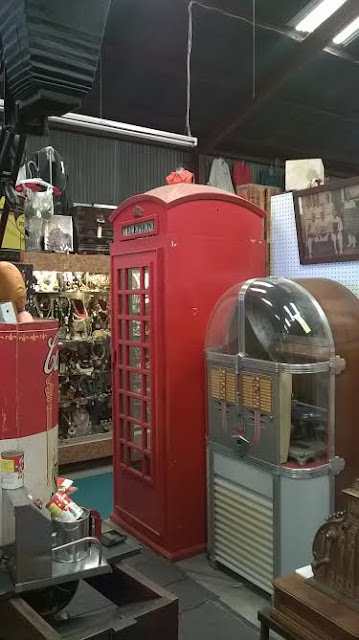 I love that old British phone booth! I thought this cast iron mirror looked awfully familiar. 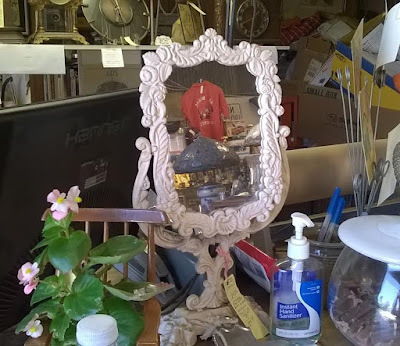 After getting in touch with one of my Martha by Mail collector friends, they confirmed that this was indeed the mirror which was first offered back in 1998. What a nice piece for one's bathroom vanity or for a bureau in the bedroom. 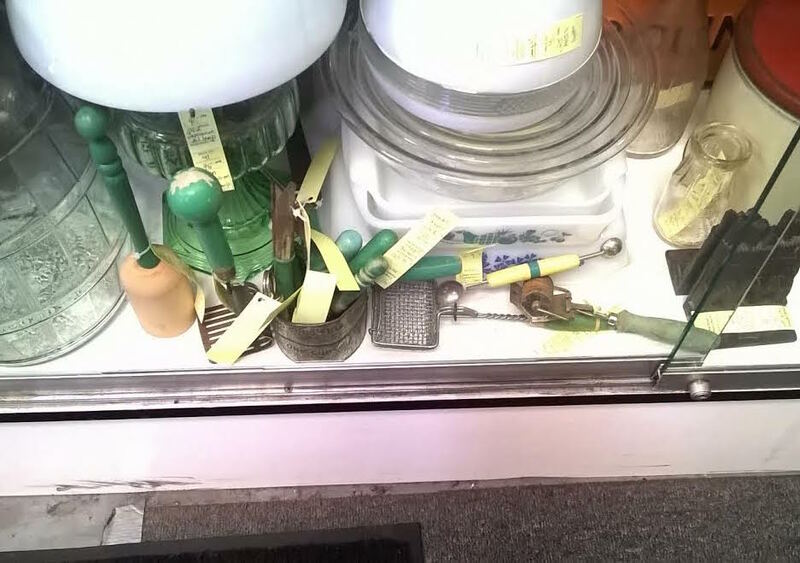 My eyes immediately zeroed in on this bunch of old kitchen tools. 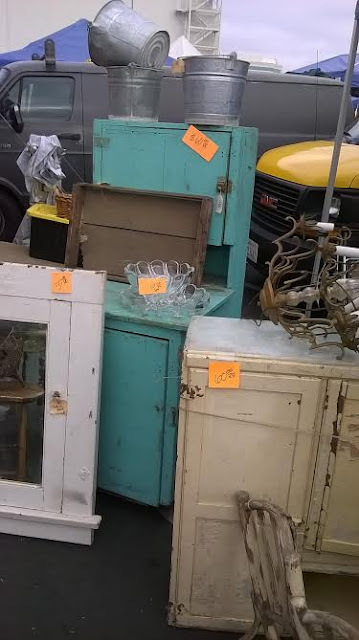 I sifted through them and bought several pieces. Wait for that post next week. 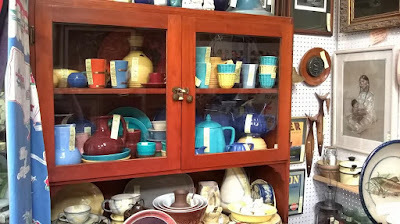 If you're a collector of Martha by Mail, then you can see what I encountered at this display. I wasted no time in setting things aside. Old metal shelves and metal furniture really capture my attention, because they can easily be incorporated into one's home without having them seem out of place. 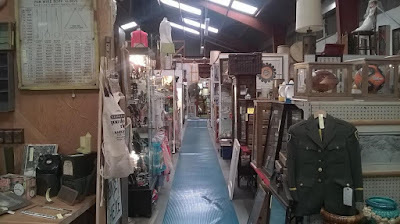 There are several aisles here of so many good things. One of the thrills of shopping at places like this is sifting through the numerous items. When you encounter something you truly like that is priced right, doesn't it just make your day? By the way, can you spot me in this photo above? A mix of Fiestaware, Bauer pottery and the like, come in a variety of colors. 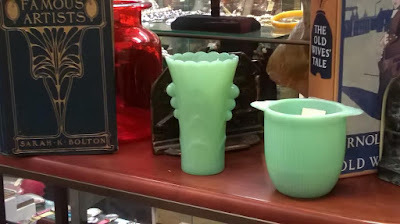 On the left is an Art Deco vase made by Fire King and on the right is a reproduction sugar bowl. 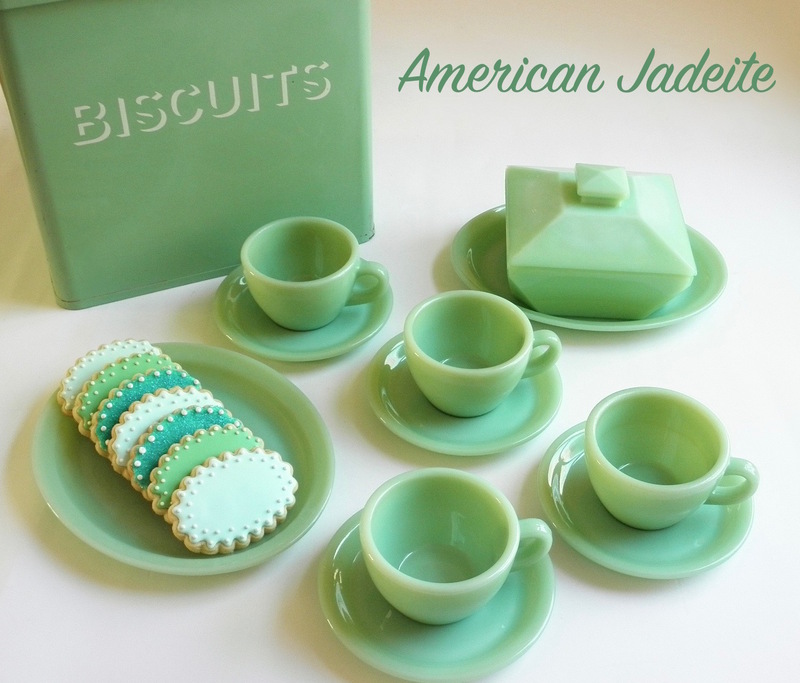 They're both inexpensive pieces of jadeite. 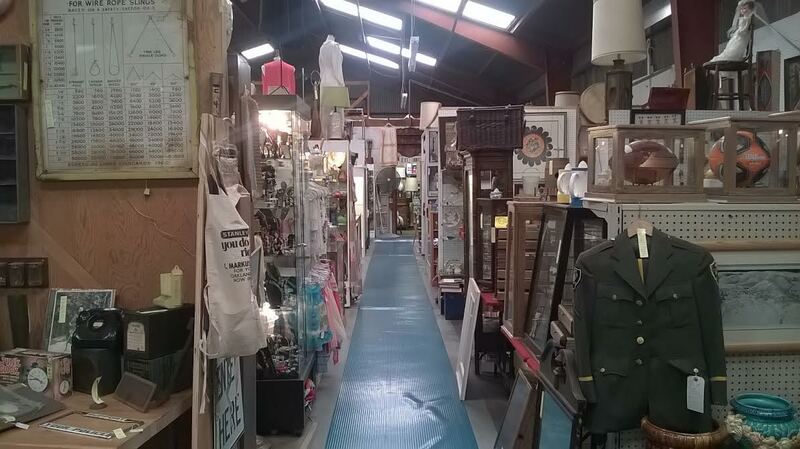 At location II, pay close attention to those vendors who have narrow displays. These tight corners have to be examined carefully for the items you like. 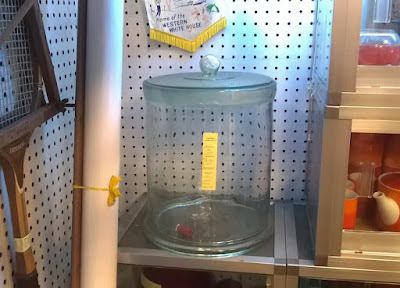 This display had many lab ware jars. 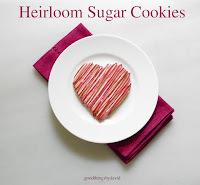 I own some of them with their original lollipop ground stoppers, and use them in the pantry for dried goods. The large apothecary jar in this photo can be used to hold just about anything. Flour, sugar, cookies or even pet food can safely be stored in a container like this. 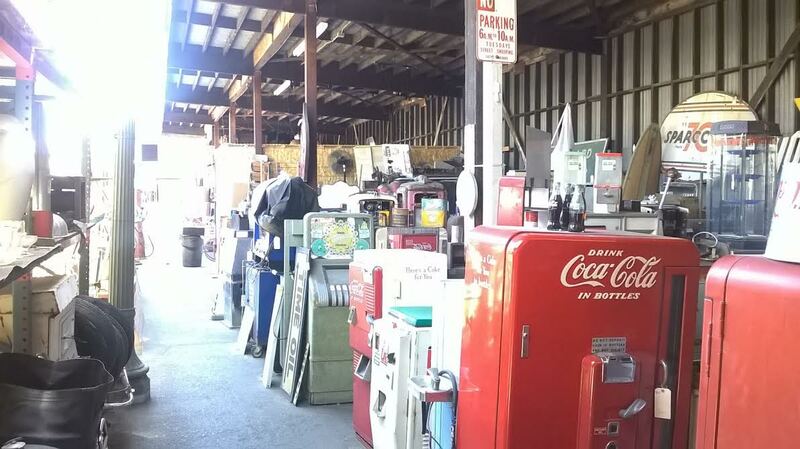 The large, outdoor space at location II has pieces of furniture, soda machines, garden equipment and so much more. If there is anything you wish to see from any of the vendors that is not within easy reach, make sure to ask for help. 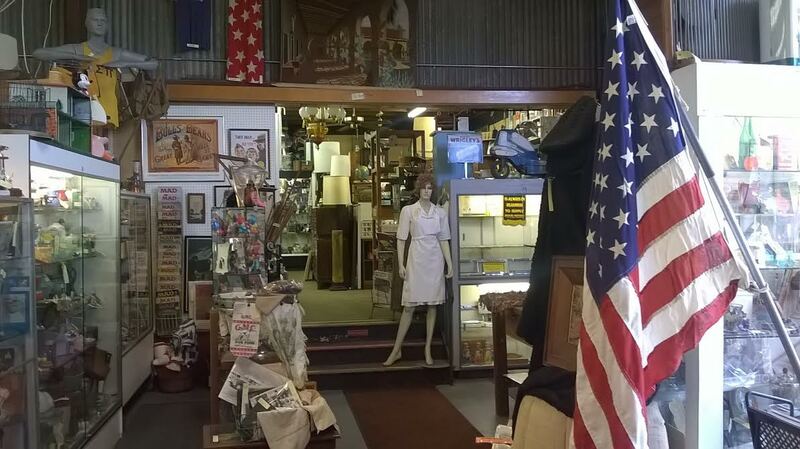 The staff at the Long Beach Antique Mall are friendly, knowledgeable and always eager to help. I most certainly hope this little tour of antique shopping in Long Beach, California prompts you to visit these locations. There is nothing I like doing more than hunting down a treasure or two while vintage shopping. As I've said in the past, I don't always go to these types of places with set things in mind. Rather, I walk in with an open mind and a sharp eye for the things that speak to me. 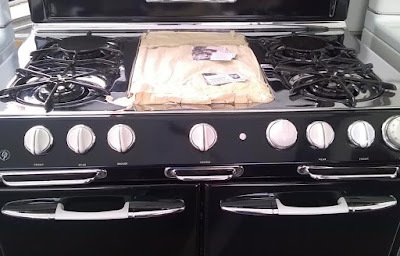 I know what l like, what looks good in my kitchen, and over the years I have learned to trust my instincts. Stay tuned for the items I did purchase on my trip! I'm green with envy David. You have to visit Long Beach at some point!! 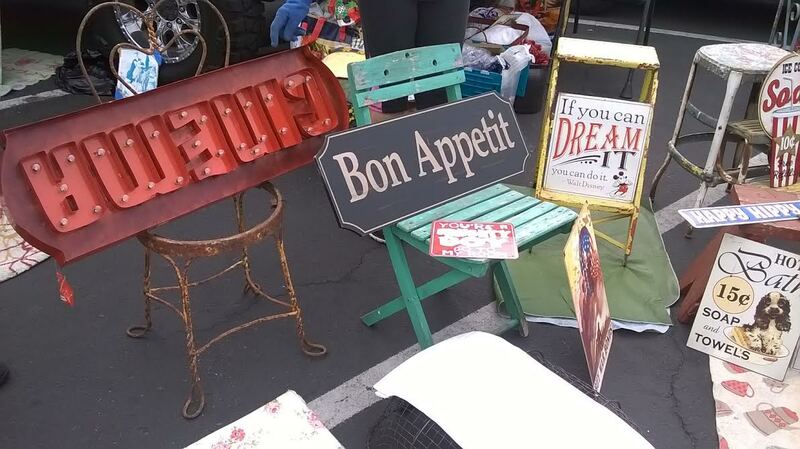 If you're ever in Los Angeles on the 4th Sunday of the month we hope you'll come visit Topanga Vintage Market in the West Valley. 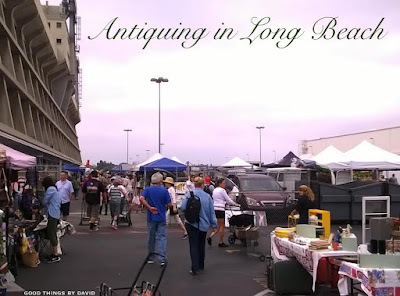 With 180 or so sellers we are smaller than Long Beach (only the Rose Bowl is bigger!) 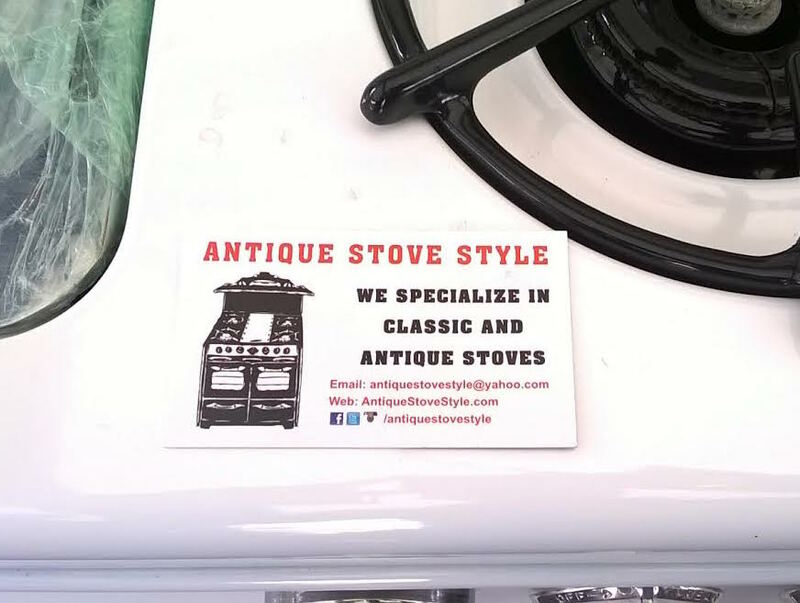 but with many of the same great vendors and others who only sell with us. 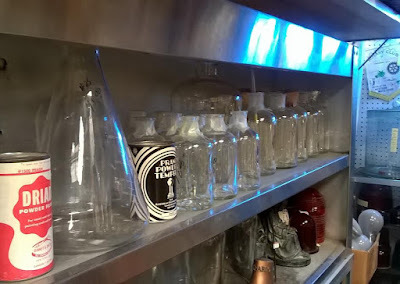 We are proud to be included in "LA's top sources of vintage" by the likes of Architectural Digest, CA Home+Design, Angeleno, CBS, RackedLA and many more. check our web site at topangavintagemarket.com for info. And please stop by the info booth to say hi if you make it some day!